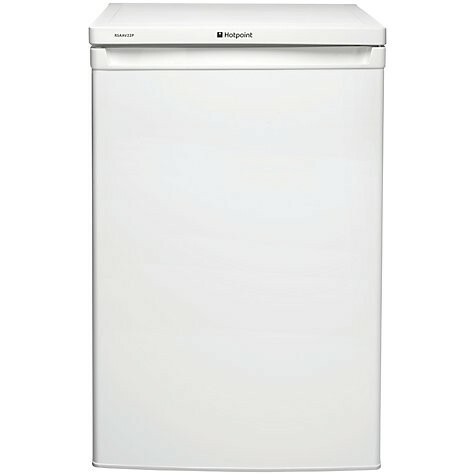 The under counter Hotpoint RSAAV22P1 Fridge with freezer box, is deceptively spacious with a total net capacity of 111 litres. There are two shelves and a salad crisper to keep your vegetables fresh, and three door shelves for bottles and dairies. 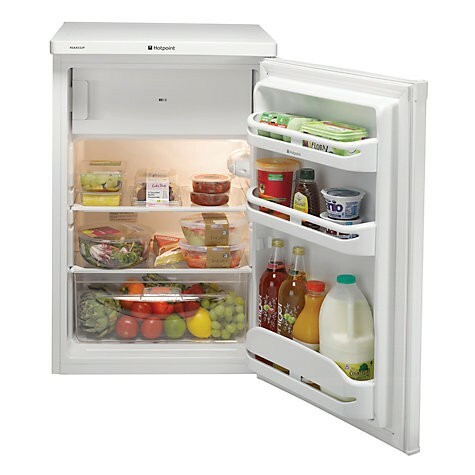 The fridge automatically defrosts, saving you time and energy and with anti-bacterial protection, the RSAAV22P1 offers full protection for the life of the product. Working between normal cleanings, it inhibits the growth of potentially harmful bacteria and helps minimise odours. The handy freezer box holds 15 litres so you can store a small amount of frozen goods when you need to.